There’s an old story about a soldier required to explain why he has a deck of cards in church. I recall mention of four gospels and ten commandments; if you want to know the rest, look up Tex Ritter. For me, the four suits in a deck demonstrate what a successful book requires. A book needs a heart, because fiction without emotion is a bunch of dead words. Readers want characters we feel for, a plot that excites us, and words that strike a harmonious chord. Even good nonfiction writers like Bill Bryson and Malcom Gladwell succeed by creating bridges between readers’ emotions and the information the book presents. It all adds up to heart. A book also needs a spade. Every written work requires digging: into setting, syntax, and a dozen more areas specific to the story. Many times I thought I knew a subject until I began writing about it: How did medieval people get from one place to another? What exactly is a parallel universe? And how do I spell pharmaceutical? Details make a story come alive if they’re correct. An author’s spade uncovers tidbits that strengthen the story’s heart. A book needs a club (actually, more than one). First is the “club” around the writer as she writes, people who advise, encourage, beta-read, etc. They might be professionals or talented amateurs, family or paid help, enthusiastic supporters or sharp-eyed critique-partners. Other clubs join the party as the book moves forward: the team that “builds” the book, the fans who promote it, and book clubs that discuss its merits. No writer is an island, unless she hides her work under that big rock on her little atoll. Finally, a book needs a diamond: value on the market. This is the oddest of a book’s suits, because some really bad books earn lots of “diamonds” while some excellent ones don’t. The why of that is often a mystery. To understand which books earn diamonds, look first at the other three suits. How lively is the book’s heart? Was the best information spaded up, engaging language unearthed, and excess “dirt” scraped away? Were the clubs consulted thorough and honest? With promotional hype, diamonds can still pour in, but savvy readers eventually tire of authors who stray from dedication to hearts, spades, and clubs. Like real diamonds, book revenues don’t just appear but are mined using knowledge and effort. How can the existence of a book be made known to the public? How can readers be enticed to try it? How can satisfied readers be encouraged to tell others about it? The mining process is hard, but it’s essential. Some authors benefit from creating a prominent persona. (Think Marilyn Monroe singing “Diamonds Are a Girl’s Best Friend.”…No wait. Don’t do that.) First impressions are lasting, so one should think carefully about the image she wants to create. I once sat on a panel with an author who knitted for the entire hour. I think it calmed her nerves, but audience members I spoke to afterward claimed it made her look unprofessional and disinterested. Other possibilities sometimes suggested as selling techniques, like wearing costumes or having a bullying sales pitch, can backfire, creating the wrong mood and driving customers away. Book covers are important first impressions, helping or hurting sales. 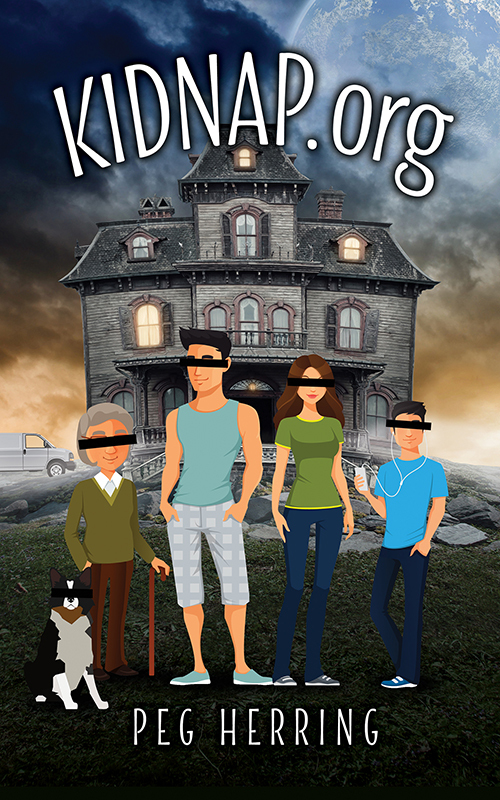 My cover artist and I thought we had a cute cover for KIDNAP.org, but readers found it cartoonish (Spooky House below). Today, authors can change book covers that aren’t working, so I asked her to do a new one (see Woman with Duct Tape). It sells much better. Research reveals that a cover has only a few seconds to catch a reader’s eye. If the message is too bland, too lurid, too whatever, that eye goes on to the next one. While we shouldn’t stint on any aspect of producing a book, the cover is a bad place to pinch pennies. All of a book’s “suits” require hard work, but finding diamonds is often the task authors are least prepared for. Build a platform. Achieve name recognition. Plan ahead so series books group themselves. Write blog posts. Maintain an interesting website. Run ads on whatever spot on the internet is hot right now. Talk to book groups. Make the acquaintance of librarians. Get as many legitimate reviews as possible. Sign people up for your newsletter and make them glad they joined. Et cetera, et cetera. If you’re thinking you’ve heard this advice in other places, you’re probably right. Still, with a lot of heart, diligent spadework, clubs for input, and knowledge of where diamonds come from, you’ll begin to see success. Those first diamonds will be little, maybe even chips, but for many authors, that’s enough to make playing the game worthwhile. 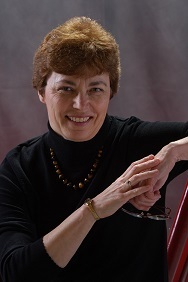 BIO: Peg Herring reads, writes, loves mysteries, including the Loser Mysteries and the Simon & Elizabeth Historical Mysteries. She lives in Michigan with her husband, a very old cat, and her alter ego, Maggie Pill, author of the Sleuth Sisters Mysteries. Maggie is much younger and cooler. A “novel” approach to a deck of cards, Peg. Very interesting. Very interesting, and worthwhile information for all. Clever take on book-writing. Thanks for sharing.